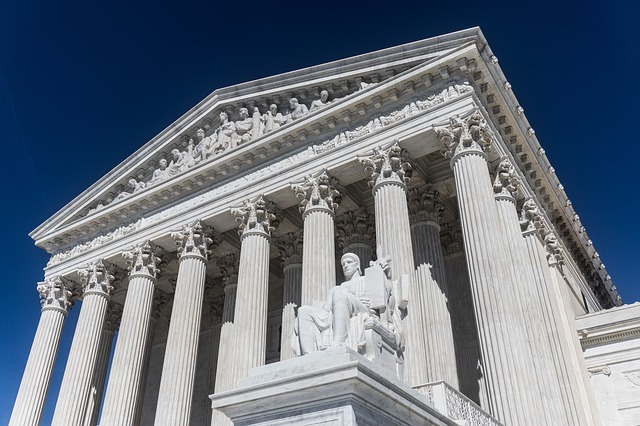 Supreme Court Appointment Conjures Up Strong Emotions On Both Sides….I’ll save my thoughts on the Supreme Court appointment Trump will be making for the very end here in part 2. But for starters, what Trump & his loyalists overall are doing is nothing short of attacking our constitutional democracy! Plenty of Americans think the foundations of our democratic institutions can withstand the 8.0 earthquake they’re currently being shaken with. And many Americans just aren’t paying close attention. I hope the people understand that charade we saw yesterday in those congressional testimonies were nothing more than finding a way to stop Mueller, which would be a total abuse of power. At the very least they’re training their devoted followers not to believe the Mueller findings no matter how bad they might look. Trump has commanded so much loyalty within his corrupt world, it may be necessary to fight for our democracy! When I say fight, I mean spreading facts & truths far & wide so our fellow citizens wake up to these real threats, so I request you please forward all these messages on our blog site. We can win this: restoring-american-democracy-a-challenge-that-is-within-our-reach. Seventy-nine percent of Democrats said American democracy is “getting weaker” and only 16 percent said it is “getting stronger.” A majority of Americans, 55 percent, now labels American democracy as “weak,” and 50 percent said the nation is in “real danger of becoming a nondemocratic, authoritarian country.” The survey also found that Americans are frustrated with the role of money in politics, with 77 percent of respondents saying they agree that “the laws enacted by our national government these days mostly reflect what powerful special interests and their lobbyists want.” Seventy-one percent of those polled also said they are in favor of the U.S. government working to support human rights and democracy in other countries. The Democracy Project is a joint initiative made up of the George W. Bush Institute, the Penn Biden Center for Diplomacy and Global Engagement and Freedom House. It is devoted to defending democracy in the U.S. and abroad. Former GOP strategist Steve Schmidt on Tuesday said “America’s decline” is starting under President Trump’s leadership. Schmidt, who publicly left the Republican Party last week, announcing he would vote for Democrats in upcoming elections, said on MSNBC’s “Morning Joe” that Trump is taking steps to undermine the U.S. as a global leader. “Are we on the edge of a tragedy that will unfold from this?” Schmidt asked. “America’s decline is now beginning and we should make no mistake about this — the U.S.-led liberal global order is in peril, is in threat.” Schmidt, a frequent critic of the president, also said Trump is “building a fervor” with the “scapegoating of vulnerable minority populations,” and called victimization “the high-octane fuel of Trumpism.” He added that the only requirement to be labeled a conservative is “total obedience to Trump.” Schmidt made headlines last week when he announced he was leaving the Republican Party. He noted that he had been a registered member of the party for nearly 30 years. “Today I renounce my membership in the Republican Party. It is fully the party of Trump,” he said at the time. Tony Blair has warned that a return to the darkest politics of the 1930s is no longer a far-out prospect, after a rise in nationalist populism and the rejection of international alliances. The former Prime Minister will today say that he has never been so worried about the future of the UK – as well as offering stark advice for Donald Trump. In a speech to the Chatham House think tank, Blair will tell Trump that he must preserve the transatlantic alliance, or else he risks weakening the entire west as nations such as China continue to grow. Mr Blair will say: ‘We need to know from the current American administration and its presidency that our alliance matter, that it is regarded, historically and contemporaneously, as a vital American strategic interest.’ ‘We are losing sight of the values which brought the west together, saw it through the menace of fascism and communism’, he is expected to say. Former CIA Director John Brennan on Tuesday said Republicans would have to come forward after special counsel Robert Mueller’s investigation ends in order to put the country and the law “above any one person” — President Trump included. In a tweet, Brennan alluded to “Watergate heroes” and said the GOP must follow suit with the special counsel probe by prioritizing “country, fellow citizens & the law.” “When the Special Counsel’s work is done, the Republican Party must have its modern-day equivalents of Watergate heroes—Howard Baker, Elliot Richardson, Bill Ruckleshaus, John Dean—who will put country, fellow citizens, & the law above any one person, including @realDonaldTrump,” Brennan tweeted. In this new era of entertaining news, a big problem with catering to the audiences, is the partisan rhetoric straying too far from the truth & feeding the extremes: broadcast-news-dances-on-a-dangerous-precipice. Trump already has unconditional support from his state-run media on TV & talk radio, but the internet is an increasing threat. Based on how we’re trending, it’s easy to see America falling into this trap of no recovery, like what’s been happening in authoritarian regimes throughout the world: as-democracy-suffers-digital-dictators-are-seizing-power. Always keep in mind, those who control the messaging control the people, so we must expose the lies. We must find the center of our equilibrium: recapturing-the-center-in-american-politics. Tribalism is one of those things that everyone laments yet everyone engages in, to one degree or another. It’s hard not to see political developments through the filter of whether they’re good for people like you, defined by your race, your religion, your gender, your home state, your political party or any of a hundred other ways. But in our lifetimes, there has never been a president more explicitly tribal than Donald Trump. As we’re seeing right now on our southern border, that tribalism emerges not just in rhetoric but also in brutal policy decisions. And he has five justices on the Supreme Court who seem determined to set that same perspective down in binding legal precedent. The trouble is that in the United States, we have a document known as the Constitution that mandates equal treatment even for people you don’t like. So today, the Supreme Court handed down a decision upholding Trump’s travel ban, in the process insisting that it had nothing to do with what Trump said over and over again it was designed to do. It’s also important to keep exposing the radical nutwings polluting our TV’s on Fox fake news, such as sean-hannity-blames-maxine-waters-maryland-newsroom-shooting & also foxs-jeanine-pirro-complains-people-ought-get-over-russian-meddling. We’ve seen how Trump governs based on the nonsensical drivel from Fox (fox-news-runs-government), but it’s been taken to the next level by bringing a former key Fox executive inside the White House bill-oreilly-thinks-former-fox-news-exec-will-be-great-in-the-white-house, someone who helped enable the debased Fox culture of sexual harassment bill-shine-reportedly-trumps-new-comms-chief-enforced-roger-ailes-reign-of-sexual-misconduct-at-fox-lawsuits-claim. Fox & sexual abuse, sounds like a perfect fit as Trump’s communications director. Whatever happened to the GOP’s moral compass? : poll-reveals-deep-partisan-divide-over-americas-status-as-a-moral-leader. It seems some evangelicals are reacting like they’ve found heaven on earth with another opening for a Supreme Court appointment. And the outcry on both sides demonstrate each side is energized to fight for their rights based on narrow tribal interests, be it pro-life or pro-choice. My beliefs for most of my life have been evangelical & pro-life, but I bemoan the fact that lone tunnel-vision issue was at the heart of bringing upon our nation the curse of the Donald. The pursuit of pro-life rulings risk coming with an overall loss of democratic freedoms as our country elected a leader with decidedly dictatorial instincts. Could Trump’s next Supreme Court appointment bring down Roe v. Wade? It could well happen, & personally I’m OK with that as it could turn the abortion decisions over to the individual states. But it sure would take our bitterly divided nation up a few notches as the animosity boils over. And do we smell something shady going on here? : trump-justin-anthony-kennedy-deutsche-bank-scotus. Corruption reigns within this White House. A couple female GOP Senators may hold the key: collins-murkowski-to-play-pivotal-role-in-supreme-court-abortion-battle. While evangelicals may be giddy at their prospects now, when it’s a corrupt president backed by a corrupted party charged with making that Supreme Court appointment, expect the backlash to be severe & the gains only temporary, which I’ll explain in the next paragraph. Even for those of us who are pro-life, a conservative Supreme Court should not be considered a panacea. I mentioned in my previous email a conservative Supreme Court as a hope to repeal abortion rights have come at a steep price, giving us Citizens United (allowing big dark money in the political process), giving gerrymandering a pass (which puts radical extremists in the House on both sides), & a whole host of decisions which have been pro-big corporate interests (mostly at the expense of workers). We can also make the case the conservatives on the Court at the turn of the century gave us the Iraq War when they decided on George W. Please ponder these thoughts: blinded-by-darkness-how-evangelicals-put-donald-trump-ahead-of-jesus. On a side note, did the church faithful know about this hidden tax? : republican-tax-law-churches-employees. Trumpeters seem to give Trump way too much credit over any Supreme Court appointment that happens to come his way. I maintain any of the GOP hopefuls originally running for president could have made similar picks, so we could & should have elected someone mentally stable. I think it might play out this reckless & potentially lawless president could so tarnish the overall GOP brand, it may soon lead to a Dem takeover for a generation, as progressive liberals are galvanizing against this prez big time! That could give Dem presidents plenty of time to reverse whatever gains conservatives had made on the courts. Consider our country still finds a majority favoring pro-choice, so sustaining the ban on abortions for the long run would really require changing hearts & minds, not trying to jam conservative positions down the throats of the people: poll-majority-of-public-doesnt-want-roe-v-wade-overturned. While the pro-life intent may have been sincere by Trump voters, Trump was not the one we should have trusted to deliver the prize. As I keep warning, when we as a nation dance with the devil, we’re gonna get burnt. If Trump & his party rush through this next Supreme Court appointment & go nuclear by only requiring a simple majority in the Senate to approve the pick, it will be tough for the Dems to stop it (but someday easier for a Dem prez & Congress to reverse it). So for now could Mueller indirectly curtail it? His obstruction report may come out this summer & could be quite damaging, while his collusion findings might hit this fall. So a final point is there’s so much empirical evidence Trump may have gone so far as to engage in treasonous behavior against America by collaborating with the Russians, which Mueller’s findings will bring it into clearer focus. So should those reports show incriminating activities, how could we let a president appoint a judge when evidence suggests that president might be revealed to be a criminal? And if the Russian case should in any way wind up needing a ruling from the Supreme Court, how could we allow a new justice on that court to taint their decision based on an allegiance to Trump? : supreme-court-russia-investigation-mueller-anthony-kennedy & also democracy-in-peril-with-the-supreme-court-backing-down-who-will-stop-donald-trump & also robert-mueller-must-finish-investigating-before-trump-gets-his-supreme-court-pick. As Senator Mark Warner was lately overheard saying relating to the Russian probe, it’s going to be a “wild” summer, which this Court vacancy just adds a new dimension.